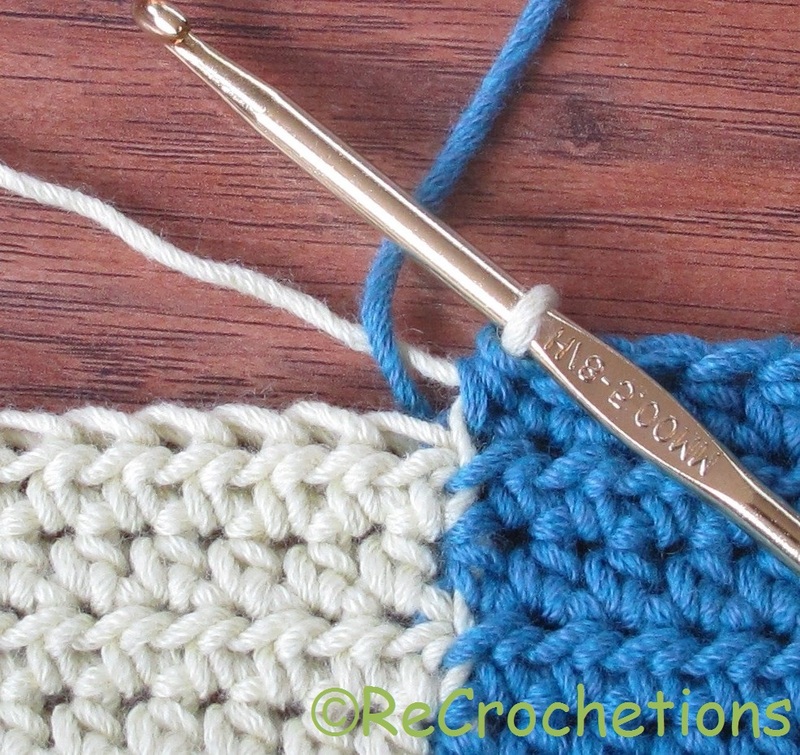 Here is another Pictorial Tutorial (say that ten times fast) on how to work the stitches used in the Reversible Intarsia Crochet Technique I have been exploring. 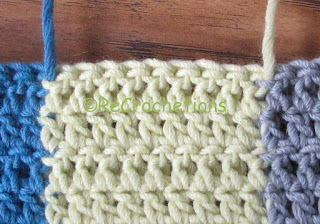 This is the #1 trick to making truly reversible multi-colored fabric in crochet, without carrying the yarn under stitches (find LH here). 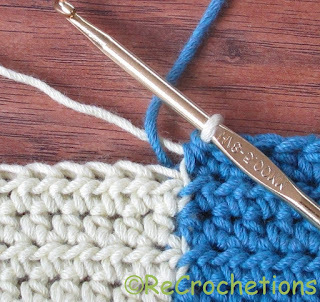 This yarn flip traps the yarn under the back of the stitch, avoiding even the short upward strands which appear on the back of typical color change stitches. 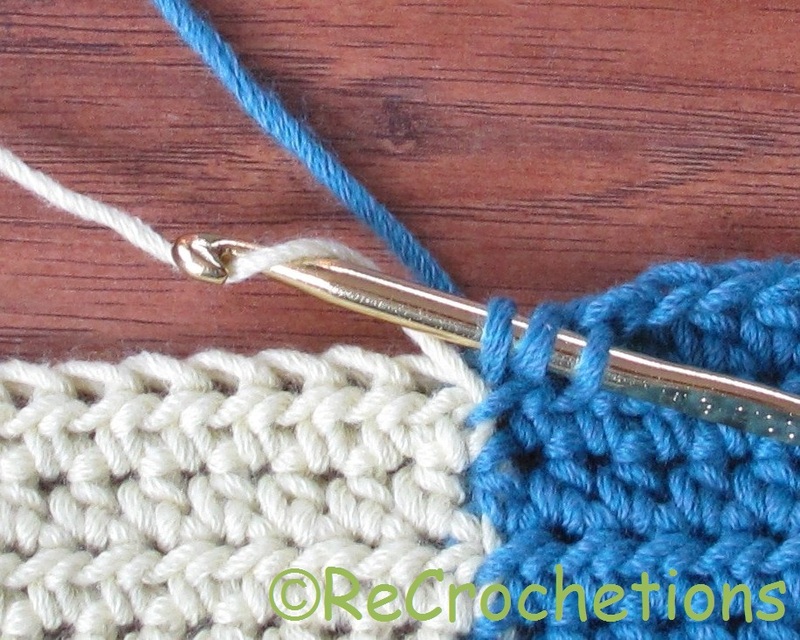 Once your fingers get used to working the yarn flip, it will become really easy. This little Yarn Flip, combined with the Late Color Change I showed last week, are the 2 steps that make Reversible Intarsia most different from other colorwork techniques you have seen. I bought your book and really love your designs. My question is do you start with fresh blue yarn after the white stitches in order not to have to carry over from previous blue stitches? Yes. A new ball for each section of color. I've recently brought your book because I don't like the puzzle piece effect when do a picture in sc. The right side of every colour change is jagged. Is there any way of doing a picture in sc without showing the zigzag like edges between colours?